Added on November 11, 2016 by jason lam. When you first start a documentary project youâ€™ll be very excited and shoot everything. Thatâ€™s good. Get that out of your system. In this initial phase, you must allow yourself the joy of being in this new environment, working on a new project, and run free. But eventually, youâ€™ll have your basic framework built. The broad strokes are in. It is at this point where you must get clear about what youâ€™re really trying to say with your work and hone in on the details. I call this filling in the blanks. These are the little final touches most people might not notice but make all the difference. Like chocolate thin mints housekeeping likes to leave on your hotel pillow. Or the freshly chopped chives atop a fresh bowl of tomato soup. It is these little moments that allow you the opportunity to show who you are. To show how much you care. To show that you went the extra mile. Not because you had to, but because you wanted to. I spent the past two months photographing the LINES Ballet Training Program, and like any photographer, I started off taking a bunch of pretty photos of dancers flying in the air. Who wouldnâ€™t? Theyâ€™re beautiful. But after a couple weeks, I had more than enough of that. 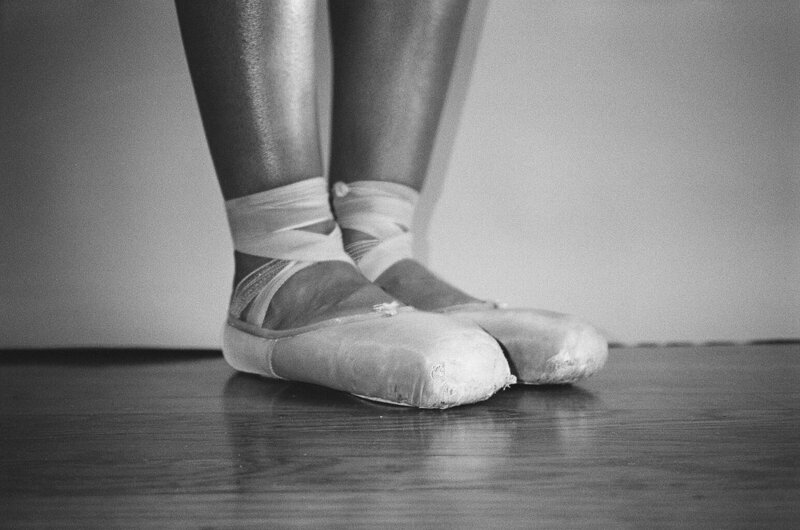 So then I began going deeper into the work and started photographing other minor details about a dancerâ€™s life that may often go overlooked. For example, the funky socks dancers wear, the injuries, the food they eat, the in-between moments when theyâ€™re not dancing. Life, essentially. I wouldnâ€™t have been able to do this if I didnâ€™t first let myself get the â€˜broad strokesâ€™ out the way - because this is what built the framework that allows me to insert the finer details. Point being, whenever you are shooting a documentary project, when you think youâ€™re done, youâ€™re most likely not done. If anything, youâ€™re just getting started. Go beyond. Look further. Take stock of what you have. Most importantly, take stock of what youâ€™re missing. Then go out and keep shooting. Be bold. Show us how much you care. Fill in the blanks.